Prince Lewin has to spend his days walking two steps behind his brother, the future king of Bavaria, and pretending to enjoy it. His life is a series of dull days of being the spare and not the heir. He has resigned himself to the fact that no one prefers him, when they could have someone else. Until he meets Krampus. The God from the Alpine tribefolksâ€™ winter stories is alive and well in the Bavarian mountains, and has set his sights on the younger prince. 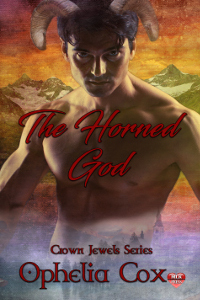 Lewin soon finds himself falling for the man who is supposed to be a myth. But it has its own set of consequences. And with the Black Plague spreading fast across the continent, can Lewin and Krampus find some middle ground to grow their love?